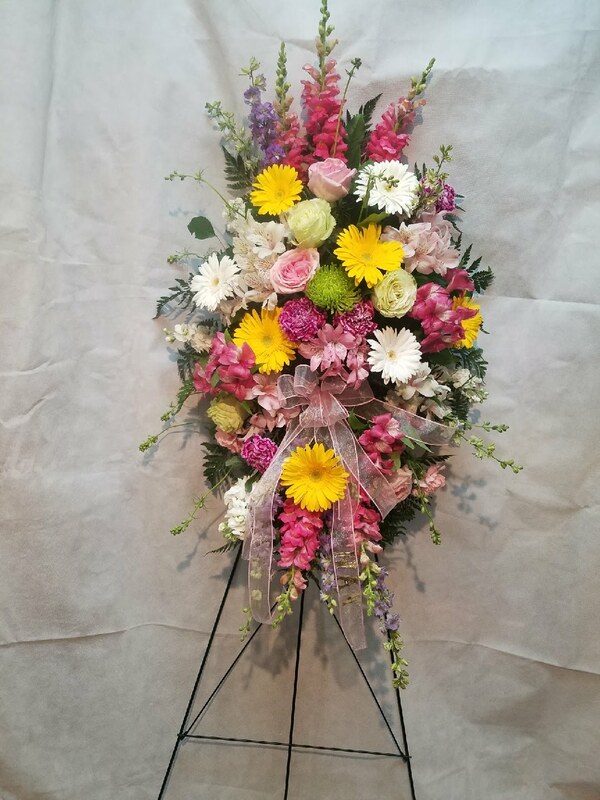 Show your care and sympathy with this beautiful traditional funeral bouquet. 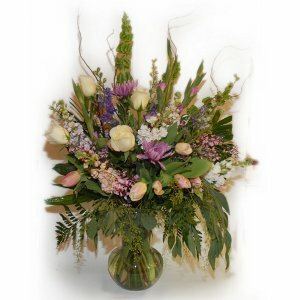 This bouquet is appropriate for display at any funeral, memorial, or remembrance services. 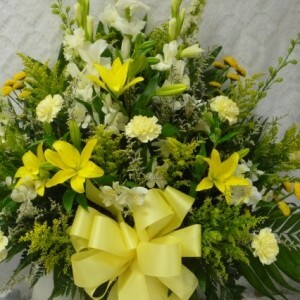 Lilies, carnations, gladiolas, larkspur, and alstroemeria lilies (Peruvian lilies) presented in a traditional white funeral container. 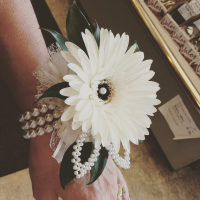 Finished with a bow. 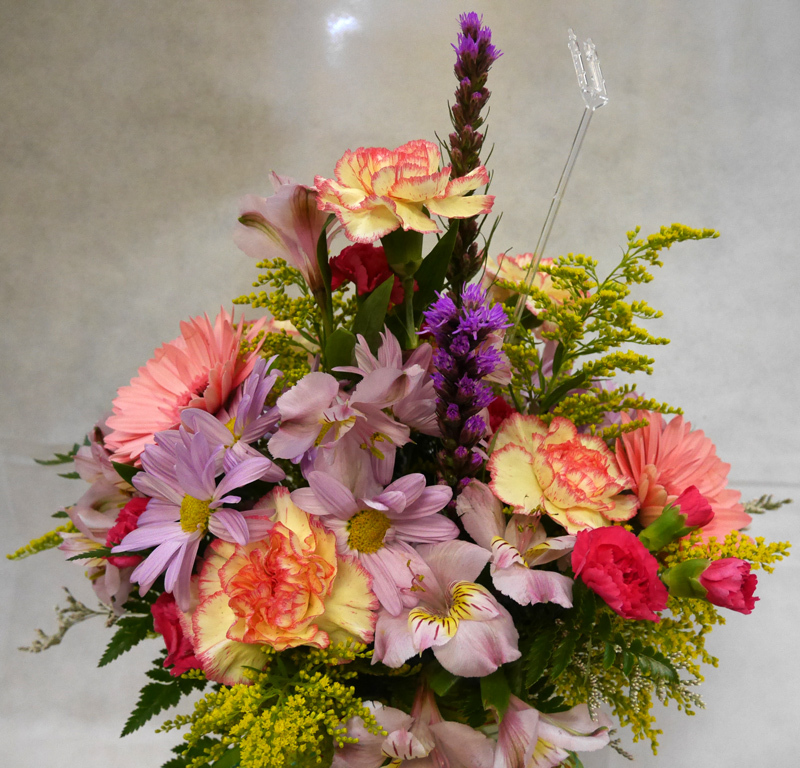 Other color themes are available for this bouquet: pink, purple/lavender, red, white, ivory, or peach. 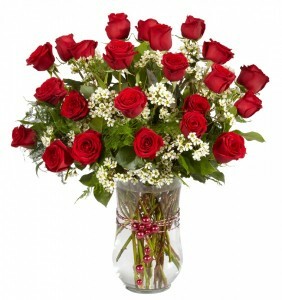 If you’d like a different color theme, please indicate your preferred color in the comments box of your order screen.